Living as the first animal wasn't very exciting. Dickinsonia lived in the late Ediacaran period at the bottom of the ocean. With an oval-like shape that could grow up to 4.5 feet (1.4 meters) in length, it's been interesting to scientists in large part because they have struggled to figure out what, exactly, it was. From time to time, arguments have been made saying it was a polychaete, turbellarian or annelid worm, jellyfish, polyp, xenophyophoran protist, lichen or even an early mushroom. "I took a helicopter to reach this very remote part of the world—home to bears and mosquitoes—where I could find Dickinsonia fossils with organic matter still intact. These fossils were located in the middle of cliffs of the White Sea that are 60 to 100 metres (196 feet to 328 feet) high," Bobrovskiy recalls in a press statement. "I had to hang over the edge of a cliff on ropes and dig out huge blocks of sandstone, throw them down, wash the sandstone and repeat this process until I found the fossils I was after." 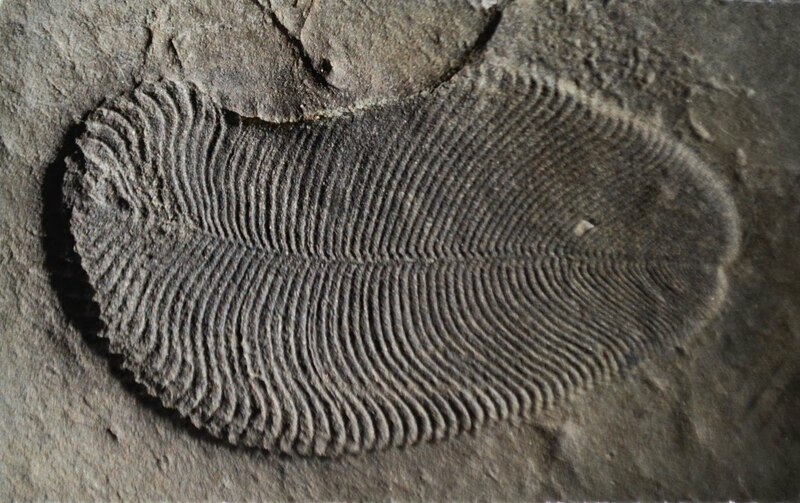 First discovered in the 1940s, Dickinsonia is one of the most iconic members of the so-called Ediacaran biota—a group of mysterious, soft-bodied organisms that existed between 541 and 570 million years ago. In a world that had been dominated by microbes, these were the first big, complex living things. They would have been visible to the naked eye, had eyes even existed at that point. But what were they? Some looked like tall fronds; others, such as Dickinsonia, were flat mats. 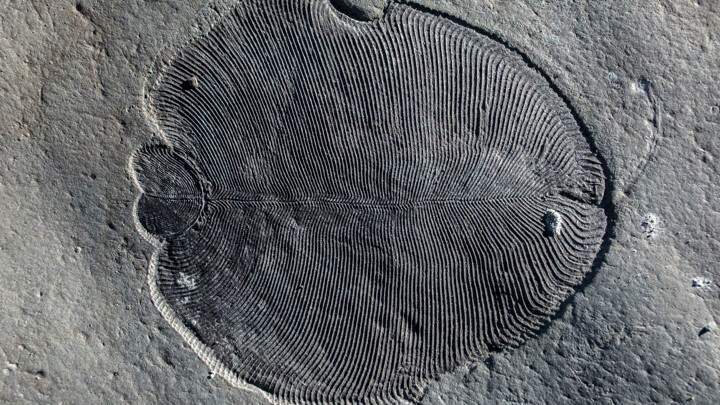 They were so unlike the animals, plants, and other organisms we know today that one scientist described them as “strange as life on another planet, but easier to reach.” Some paleontologists, including Dickinsonia’s original discoverer, classified them as animals, precursors to the more familiar forms that arose later, during the Cambrian explosion. Others have taken them for giant amoebalike protists, lichens, colonies of bacteria, or even a completely extinct kingdom of life.